Vehicle Leasing Contracts. Our 5 Point Promise. Finance Lease, the flexible alternative to contract hire. Home» Road Tests » Nissan Leaf Contract Hire & Leasing Review. Nissan Leaf Contract Hire & Leasing Review. Most people who are passionate about cars would defend the internal combustion engine come what may and indeed, I am one of them. The thought that at some point that’s going to be taken away and replaced with some pathetic, silent, limp wristed electric (or perhaps hydrogen powered) car that takes every ounce of enjoyment out of driving is a nightmare prospect..
For years, we’ve seen this coming and so for years many petrol heads have been waking up in the middle of the night in a cold sweat and rushing to the window to make sure its just a bad dream and that their cars are still in the driveway and have not been replaced by some kind of milk float with a saloon body. Well, now, I am going to try and help you here, because we have just had our first all electric car on test and do you know what, I am impressed and not just impressed, but mightily impressed and I think I might just sleep better now, knowing that even at this early stage of the evolution of this type of vehicle, they aint half bad! The car we had on test was Nissan’s new Leaf, which is the car that’s won the title of “European Car of the Year” this year and whilst winning that award, historically often signifies that the car ends up being an unpopular failure, I think the judges have got it right this time around, as we soon came to find that the Nissan Leaf is a spectacular car and don’t forget, it is a car loving ‘petrol head’ making that statement. As you can imagine, we test 100’s of cars here at BVL, but I can’t remember the last time we were so excited about trying a new car. I think in part, it was so we could pull it apart and reaffirm our views that these electric cars were ‘no hopers’ and could never even come close to replacing conventionally powered cars. As we waited for the Nissan Leaf to be rolled from the back of trailer that delivered it, so we could get our first real look at this ‘enemy vehicle’ which would we thought ultimately be responsible for changing our lives in a way we didn’t want, we imagined some diddy little poorly built car made out of cheap materials, but what appeared was a family sized, mid range 5dr hatch with a decent sized boot, that can carry 5 adults and that even at first glance, looked nicely put together and finished to a high standard. The Nissan Leaf has all the toys you would expect in any luxury or high quality car including air-conditioning, full colour screen satellite navigation with a rear facing colour camera to help you park, nice CD player, with built in Bluetooth phone connectivity, electric windows, central locking, USB & MP3 sockets and safety wasn’t neglected either as the Leaf has 6 airbags, ABS with Brake Assist, Electronic Brake-force Distribution, and Electronic Stability Program. So reluctantly we have to say, its round one to the Nissan Leaf. After a few basic lessons on how to turn the car off and on, we gingerly decided a trip into our car park should be our first mission and I have to say, even that was a surreal experience as we silently travelled the few hundred yards that would allow us to park the thing up, get out of it, scratch our heads a bit and take a look around it. Strangely, or maybe not, we were reluctant at that point to take the Leaf out on the road, as we were worried about using up its reserve of power all in one hit, so we decided to do a bit of ogling at it, have a sit in the back, open the boot and generally try to find a reason to dislike the car and frankly, we really couldn’t do that. But we could wait, our time would come as we were certain that from behind the wheel, we were going to find plenty of reasons to prove why the Nissan Leaf was the ‘no hoper’ that we should all avoid like the plague. So the time came to venture out onto public roads and whilst it would be easy here to use the pun’s about shocks and electricity, from the very first push of the starter (if there is such a thing), that’s exactly what we were, we were shocked! We hadn’t expected anything like the level of instant performance we found and were absolutely blown away by the way the car accelerated and the way the cars power just stayed there, not matter how hard you drove it. No flat spots, no rev range where the power was developed more than in another, no coughs or quirky behaviour, just consistent and smooth power from the off, right up to the cars maximum speed (which of course, for the purposes of this road test, was 70mph), but Nissan say is 90mph. The other major surprise is something that goes hand in glove with having an electric vehicle and that was the absolute silence. In a normal car, you have the noise of the engine, gearbox, drive train etc all which mask the other noises a car might make, such as squeaky dashboards and things that rattle. With the Nissan Leaf, there was no noise coming from the cars interior at all, it was unerringly quiet and whilst that’s what you might think you expect, when you actually experience it, you’re simply just not prepared for it. On that basis, we have to compliment Nissan on making such a well put together car, well sorted car, because if anything did squeak or rattle, you were going to notice it instantly and nothing did. So begrudgingly it’s also round two to the Nissan Leaf. We have to win one round of this match-up and perhaps this might be it? As an all-electric car, its got to be charged up, otherwise you’re going no where and in that same vein, if you run out of charge whilst you’re driving the car, your going to be stuck by the side of the road and that’s where you are going to stay! Nissan claim the range for the Leaf is 109 miles, which Nissan say is enough for around 80% of drivers in Europe and they are probably right, but we noticed that just like a normal petrol or diesel car, the range you get, depends on how hard you drive it and because of that, the 109 miles isn’t a guarantee and it was that which concerned us in our first drives of the car, particularly as the Leaf is just so willing to go and so much fun when you do drive it with a reasonably heavy right foot. For our first trip, which was a round journey of about 55 miles (bearing in mind we had to test this car, not audition for ‘Driving Miss Daisy’) we were really conscious of looking at the display which tells you the remaining range in the car, for almost all of the journey and that was off-putting and in fact, there is already a buzz term for that and its called “Range Anxiety”. Of interest, after 25 miles of our first journey, the cars on-board computer was telling us we needed to charge the car for 6 hours to get it back to full charge. Of course, if the Leaf was your car full time, range anxiety probably wouldn’t be an issue as you would get used to its range and know with confidence that its going to make the journey you set off on, but so new into our relationship, frankly, I just wasn’t comfortable in trusting the car. Upshot is that we did our 55 mile round trip and the Leaf behaved impeccably was nice to drive and even a bit of fun as well, because without the weight of the engine at the front, Nissan have been able make the car handle superbly well for the style of car it is and it somehow seemed strange as you ‘powered’ the Leaf into a roundabout passing the cars beside you in the process, just wishing that the drivers around you were conscious of the fact you were driving an electric car, so they could witness how well it performed. So lets look at the nuts and bolts of all this. These are the first all-electric cars, so they are the 8-track player or the Betamax video recorder, but fact is you would never believe that, as the Nissan Leaf is a polished performer and if it represents genesis in terms of electric cars, well I am mighty excited about what the future holds as even in its present form, the Nissan Leaf is superb. Whilst we haven’t won a round against the Leaf yet, there are a number of knock downs that will put the Leaf on the canvas for many of us and clearly, the cars range and the time it takes to charge the cars batteries are two major blows. Charging the car from home, whilst possible on your domestic system, will take around 12 hours and is not something that’s advocated and in the Nissan brochure we have, where they say it is “recommended for occasional use only” because it needs a constant 10amps charge and when we were loaned the car by Nissan, we had to sign an agreement acknowledging that we would only charge it from a domestic socket that’s rated to that constant 10amps and is fitted with an appropriate circuit breaker, whilst under no circumstances should we use an extension lead as excessive heat might be generated in both the lead and the plug. Its recommended that if you are intending to charge your Leaf at home, you ideally need a special charging terminal called a ‘Pod Point’ which can cut your charging up time down by around a third to in the region of 8 hours, and oddly, British Gas will come and fit one for you at a cost of £995 and of course, this is another expense you have to put in the pot and add to the £25,990 the car is going to cost you even after receiving the Government Ultra Low Carbon Incentive Grant. At this point, the number of quick charging points around the UK is minimal (probably around 100) but those will increase to an estimated 11,000 by 2015 and of course, dealers for the franchise of your electric car (that have become EV dealers) will have a charge point, as will many large shopping centres and its possible from these to re-charge your car to around 80% of its capacity in just 30 minutes, although frequent use of “fast charging” is likely to shorten the vehicles battery life. Interestingly, your Nissan Leaf’s satellite navigation system shows the charging points which are near you. Nissan says that if you charge your Leaf using night time ECO7 tariff, the cost of driving your Leaf comes out at around £1.40 for each 100 miles driven and that’s mighty impressive, but you can’t just look at the upside you have to look at the whole picture. The questions you’ve got to ask yourself is if you want to pay almost £27,000 to get your electric car and charging point, particularly as car manufacturers are working harder and harder to produce lower emission conventional cars, which don’t suffer from range or ‘availability of use’ issues that your “on charge” electric vehicle would. Looking at Co2 emissions, whilst your electric car itself might be emission free, the power plants that provide the electricity to charge cars like this, most certainly are not and it doesn’t seem that anyone really wants to give you the information, but I have read that following the “Power Trail” back to the power station that generate the electricity, it very much depends on the country you live in and how sophisticated their power plants are. In France, where most power stations are modern, it’s estimated the Co2 emissions footprint of an electric car, charged from that source equates to between 45g/km to 55g/km. In England where we are not quite so up to date, it’s said the true emissions of an all electric car equate to 55g/km to 65g/km, whilst in unified Germany with its many old stations that figure jumps to 65g/km to 75g/km, so the “zero emissions” thing is a touch of artistic licence. From a green perspective, you also have to consider the mining of the Lithium that’s used in the cars batteries, of which I understand there is a limited quantity. Another question that’s asked about electric cars is how long the Lithium batteries will last as they are not going to be cheap, but Nissan say they anticipate they will last 10 years although current estimates suggest that an average EV battery would deplete to around 80% of its original capacity after 4 years of use, however that’s assuming you don’t fast charge the vehicle too often. In places like Israel and Denmark, Renault are taking a different approach to the range problems, by setting up what’s known as “Quickdrop Battery Exchange” where a flat battery is simply exchanged for a fully-charged one, with the replacement only taking a couple of minutes to fit, which is obviously way more convenient than having to tether your car outside like a cowboys horse whilst it takes hours to charge. Don’t get excited however, as Renault have no plans at the moment to set up anything similar in the UK and the use of this scheme does involve using a battery leasing scheme, where it seems you own the car (or lease the car off your leasing company) then take out a second lease with Renault in respect of the cars batteries. Ending on a positive note, as we said earlier, electric cars are not for everyone, but for some users they will make perfect sense. Imagine you have to enter the London Congestion Charging Zone everyday, well changes soon will see you paying £10 a day or £50 for a normal working week. Take that across a 50 week year and that’s £2,500 or £7,500 over a typical 3 year period, but if you drive an all-electric car, the congestion charge is “zero” so maybe, just maybe with savings like this, the Leaf and cars like it begin to stack up. Add to that a chance that you might be able to charge your electric car from work, at no cost to you and it makes even more sense. Its not expected that these kind of cars are going to sell in massive numbers and to highlight this, Renault believe that even by 2020, only around 10% of the new car market will be made up of battery only electric vehicles, which by then should have a range of around 200 miles. There is however another new technology on the block and that’s “Hydrogen Fuel Cell” and they tell us by 2021, the range of a vehicle powered that way is likely to be around 400 miles and by then, it should be an affordable technology. Frankly, our time with the Leaf was a kind of “Road to Damascus” conversion. None of us had faith in the new technology and all of us thought the car would be sluggishly slow to drive and that couldn’t be further from the truth and “as a car” I would be happy to use one permanently and there will be “Electric Evangelists” who do just that. However, the issues of battery life, range and recharging times for me would make that impossible and I am sure I’m not alone in that and this which will dramatically reduce the number of people who might be able to live with this car even if they wanted to! Well done Nissan, cracking product for certain users. 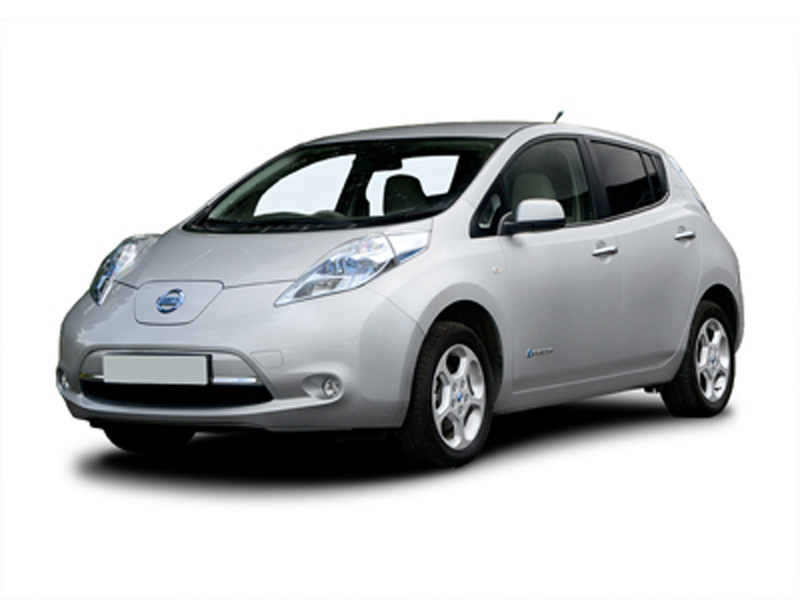 For a leasing quotation on a Nissan Leaf, or any other Nissan, please contact us.